WeChat account, worth it? which type we should have? China Social Media | WeChat account, worth it? which type we should have? 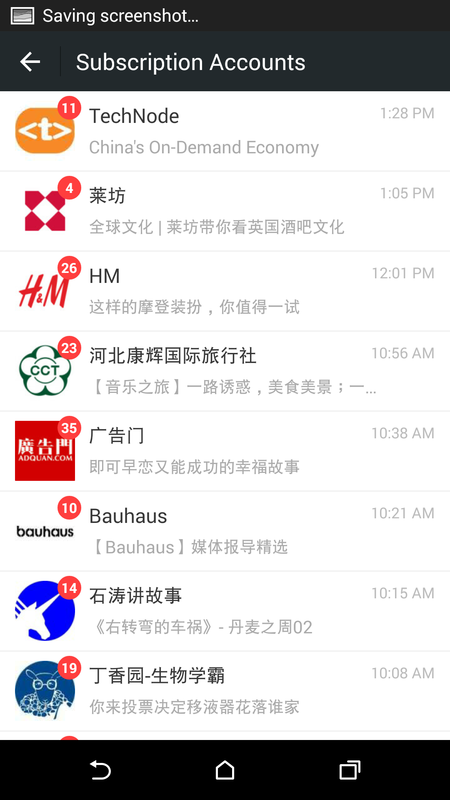 WeChat is as a must-have channel for luxury brands looking to reach consumers in China. Yet new research suggests that many brands aren’t getting the engagement from the platform’s 900 million users they would hope for. While there are no doubt plenty of marketing success stories on the platform, digital intelligence firm L2 recently released an insight report on WeChat, revealing that most posts by luxury brands receive less than 20,000 views. Only four percent of fashion brand posts and three percent of posts by watch and jewelry brands received over 60,000 views, according to L2’s study. To compare, posts from Gogoboi and Mr. Bags, two of the platform’s leading fashion bloggers, regularly receive more than 100,000 views. For Users it’s easy to see it.. Firstly, it’s not difficult for a user’s message feed to become saturated with both posts from official accounts and friends, and the platform’s one-to-one format doesn’t allow much room for brands to make their accounts stand out. It’s not like algorithm-driven Instagram — users have to take several steps to actually pull up a WeChat post from a brands on their mobile phone. WeChat does give flexibility in that it allows luxury brands to choose between two types of accounts, subscription or service, that have different levels of visibility. However, both have their downsides. The subscription accounts are all lumped into one folder, and users don’t receive new push notifications when a brand releases a new post. Subscription account holders can post every day, and if users follow a lot of brands, it can be easy to forget to check their subscriptions folder for updates from specific accounts. Meanwhile, service accounts are integrated into a user’s main messaging feed, but brands are only allowed to post four times a month, meaning their posts could easily get pushed down the feed by new messages from friends. Then, there is WeChat’s Moments feed, which operates similarly to Facebook’s Newsfeed, but only brands that pay for Moments advertising can reach WeChat followers through Moments. This proposition can be expensive and doesn’t guarantee results. This means that in order to ensure their followers see their content and create engagement, brands need to get really creative. L2 says that one way to do this is to consider working with KOLs. Compared to luxury brands’ own posts, KOLs’ posts tend to have four times as many views and eight times as many interactions on posts.